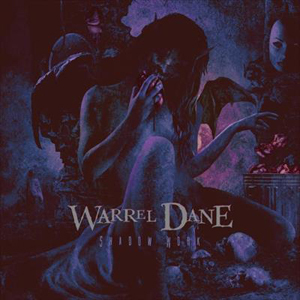 A new track from late metal icon Warrel Dane has just premiered called "As Fast As the Others". Check out the track below. The track is off of Dane's final album Shadow Work, which is set for release on October 26th. Pre-orders are available HERE. "As Fast As The Others" was inspired by Dane's childhood. "It is a song about a school friend Warrel had," guitarist Johnny Moraes states about the track. "His friend was stuck in a wheel chair, because he had some kind of physical problem, and the other kids would mock him all the time about that and the fact he could not get out of the chair and run. So, that was what he meant in the lyrics with "... in school, the children could be so cruel". Even though he could not get up and run, do what other kids did, Warrel made clear to him, that they could still be good friends. It's basically a song about the issues of bullying." On December 13th, 2017, Warrel Dane passed away in São Paulo, Brazil while recording the follow-up to 2008's Praises To The War Machine. In essence, a tribute release, Shadow Work contains over 40 minutes of music with Warrel's voice tracked during pre-production, demo and recording sessions. The album's booklet was completed with Travis Smith providing artwork based upon concepts he had previously discussed with Warrel, thorough reconstructions of all lyrics from Warrel's notebook, personal testimonies by his Brazilian band, and very moving photos. Thiago Oliveria, Warrel Dane's guitarist, states, "One day, Warrel came into my studio with this strong, anthemic melody that called in for a mellower song. I worked on riffs and arrangements for the next days and soon he came in with these lyrics. After Warrel had passed away, as a tribute, I gathered many singer friends who were Warrel's fans and friends to take his melody and turn it into this arena rock singalong, as both a celebration and memorial. Needless to say, it was as beautiful as it was devastating. As unlikely as it may seem, working within a more conventional rock framework took a lot more effort to reach the song's completion, but the end result, coupled by my bandmates' Johnny, Marcus and Fabio incredible performance, turned out to be one that I am really proud of." Shadow Work will be released on October 26th, 2018 as Special Edition CD Mediabook offering a 44-page booklet, as Gatefold LP plus CD & 12-page LP booklet and on all digital platforms. "As Fast as the Others"
"Mother is the Word for God "